Women who took 1000mg of vitamin C before performing 30 minutes of moderate-intensity cycling exhibited increased antioxidant capacity post-exercise. Research shows that micronutrients play an important role in improving exercise performance. In a study published in 2018, for example, researchers found that higher levels of vitamin D are associated with a better capacity for exercise. Based on a total of 1995 study participants, the results demonstrated what the researchers described as “an independent and robust association” between serum vitamin D levels and the ability of the heart and lungs to supply oxygen to the muscles during exercise. But while vitamin D evidently seems to play a role in improving the human body’s capacity for exercise, it is not the only factor. For example, micronutrients such as carnitine, coenzyme Q10, vitamin C, and the B group of vitamins are also essential for producing the necessary energy in heart muscle cells for sustained physical endurance. 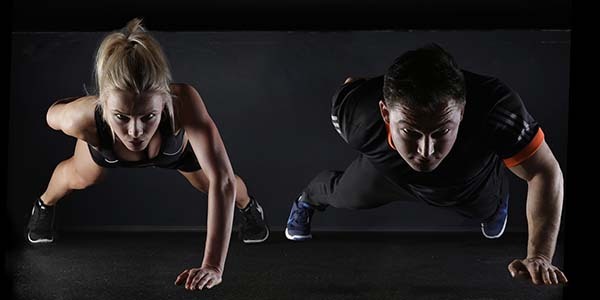 Moreover, the higher metabolic rate that occurs during exercise increases oxygen consumption and exposes the cells to near-constant oxidative stress and associated cell damage. Therefore, antioxidants such as vitamins A, C, and E, carotenoids, and selenium need to be supplemented. To learn more about the importance of micronutrients for athletic performance, read this article by researchers at the Dr. Rath Research Institute.